These USB Analog IO Modules comprise of a series of unique IO devices for digital and analog control and data acquisition which can be used in numerous applications. The 0-10V analog Output Module is affordable and additionally ready for portable applications as a result of being USB power supplied and there are no extra power adapters needed. In order to run the equipment the primarily thing that is required is actually a connection to a standard USB interface. 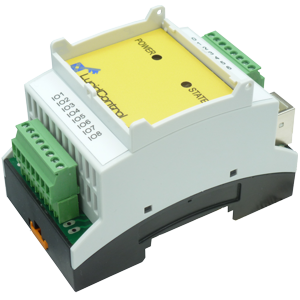 The flexible and also DIN-rail attachable housing makes LucidControl USB 0-10V Output Modules best suitable for the automation branch since it enables their easy integration in switch cabinets. 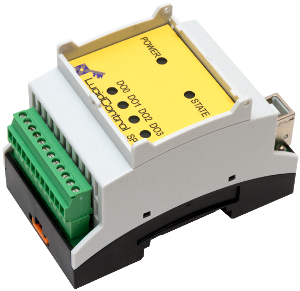 For solid solutions it is additionally beneficial that the input and output modules are prepared with high quality and industrial standard plug-able terminal contacts. For the do-it-yourself field the affordable USB 0-10V analog IO Modules can be integrated to distribution boxes making it simple preparing a clean and straight forward development e.g. for controlling lights. Owing to an complete user manual, high quality software tools and libraries for several relevant development languages and also their easy usage make LucidControl a great automation solution for beginners as well as for experts. Trainees can make their first automation development experiences with LucidControl and profit by a big learning curve. Without the need for further driver software, the USB 0-10V Analog Output Modules are working out of the box with many important computers and work with Microsoft Windows® and also Linux OS. Beside of common computers they are also compatible with micro-sized computers such as the Raspberry Pi what makes the input output units most usable. Making use of Linux operating system these mini-sized computers are definitely best suited in order to build Internet programms making all IO functionality accessible via the Internet. For handling analog lines for example currents, the analog capture (ADC) and output modules stand for this class of input output modules and are designed for processing analog based lines. The USB ADC are ready to measure 4 analog voltage channels like 0-10V interfaces. The analog outputs are available for ranges of 5V, 0-10V and 24V additionally symmetrical output ranges having -5V to 5V, -10V to 10V and also a -24V to 24V can be chosen. Especially channels of 0-10V and 0-24V are typically used in the automation business. 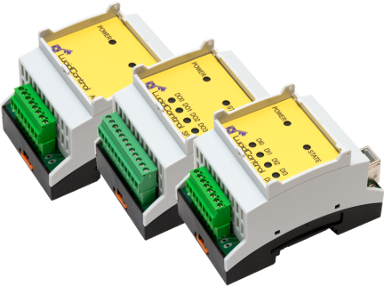 The USB Analog Output Modules are also available with current outputs of 4-20mA which can be used in order to create current loops. Usually used detectors such as wind sensors create 0-10V interfaces where the acquired voltage is proportional to the captures wind velocity and that is why the 0-10V option of the Analog Output Module is perfect prepared to interact type of detectors. 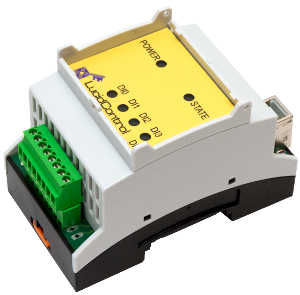 Additionally, the LucidControl 0-10V Analog Output Module is also able to measure the signal of a vortex flow meter which often produces an analog voltage relative to the mass of fluid run through the sensor per time division. The USB 0-10V analog output module provides a high resolution of the measured input of 14 bit bit by granting a precision of 0.25%. The included line processing level filtrates disturbances from the acquired signal, improving the acquired signal making it extremely accurate. For many control tasks, the given tolerance which is for the 0-10V selection +/- 25mV is appropriate and an excellent compromise between cost and accuracy. Our products aim is it to provide LucidControl USB IO Modules with numerous interfaces in order to make these products ready nearly all applications. More details about the LucidControl USB 0-10V Analog IO solution are available on our home page.